Metrocentre is Britain's best and Europe's largest shopping and leisure centre and it has everything you could possibly need for the perfect day out. With almost 330 shops including major department stores such as Debenhams, House of Fraser and Marks & Spencer, Metrocentre has something for everyone all under one roof. From top European retailers offering unique brands to price conscious stores to suit all pockets, Metrocentre has it all – even its own themed area; The Forum, The Studio and The Village where you can find that unique or unusual gift for every member of the family or friends! As well as free parking, late night shopping and 7 days a week opening times, Metrocentre is home to 50 restaurants, many open late into the evening, and also leisure attractions – ensuring complete enjoyment for all! 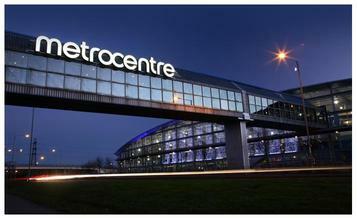 Metrocentre is in easy reach of Newcastle City Centre, you can reach it by rail from Newcastle Central station or on the Stagecoach 100 bus which runs every 8 - 12 minutes during the day from various locations in the centre of Newcastle to the Metrocentre .